10 - Gee, Your Universe Smells Terrific by What The If? Imagine if space was breathable... If you could swim in it, fly in it, go anywhere you want wearing only your bathing suit, or your birthday suit! Would you swim to Jupiter? Paddle to Alpha Centauri? How would life have evolved if it could swim, crawl, fly into space? 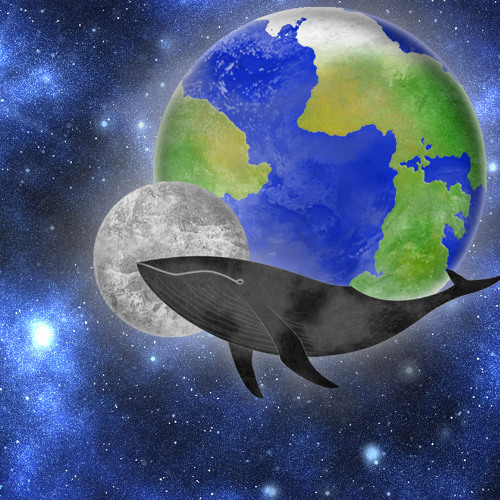 We ride whales to the Moon. We tremble at the sight of a giant plankton sphere swimming around the Sun. Grab your inflatable doughnut and come along to the worlds of What The IF!